What were the Causes of the American Revolutionary War? This article contains fast facts and information about the Causes of the American Revolutionary War. What were the Causes of the American Revolutionary War? Good question. There was a whole host of reasons and Causes of the American Revolutionary War - our list details 38 Causes of the American Revolutionary War. For an overview of these events refer to the Road to Revolution. Causes of the American Revolutionary War - In a Nutshell! The Causes of the American Revolutionary War! In a nutshell the British wanted to make as much money as possible out of the 13 Colonies. Great Britain was the 'mother country' - refer to Colonialism. Many of the colonists came from Great Britain, they shared the same ideals and the same king. The British had the power to enact various laws in Parliament outside of America which significantly effected life and trade in the 13 colonies. But the British Laws were used like a 'one-way street' - the Acts of Parliament benefited the British but not the colonies and, to compound this, the Americans were not afforded the same rights as the British people, nor did they have any representatives in the British Parliament to present their points of view. The colonists protested and their protests led them down the American Road to Revolution and were responsible for some of the Causes of the American Revolutionary War. 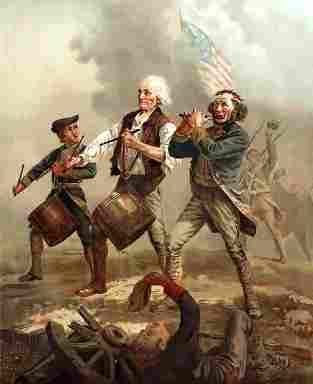 The following Fact File contains fast information and facts about the the Causes of the American Revolutionary War. Interesting facts and an overview and description of the the Causes of the American Revolutionary War. Additional facts and detailed information about each of the Causes of the American Revolutionary War can be found by refering to specific articles. Causes of the American Revolutionary War Cause 1 Trade - Mercantilism: The British had adopted the policy of Mercantilism. The mercantile system, was based on the benefits of profitable trading in which the flow of raw materials from the colonies that profited Great Britain who turned them into finished goods which had a higher value than raw materials. Causes of the American Revolutionary War Cause 2 Trade: The Triangular Trade routes were established. Americans had to trade goods that they had in abundance in exchange for goods which were scarce in their own region. Triangular Trade, coupled with the British policy of Mercantilism, provided a “favorable balance of trade” but only to Great Britain. This ensured that gold and silver, and all domestic money, stayed in England. Causes of the American Revolutionary War Cause 3 Laws: The Navigation Acts were designed to regulate colonial trade. The Purpose of the Navigation Acts was to encourage British shipping and allow Great Britain to retain the monopoly of British colonial trade for the benefit of British merchants. Causes of the American Revolutionary War Cause 4 Laws: The 1689 English Bill of Rights was passed which put into place a constitutional form of government in which the rights and liberties of the individual were protected under English law. The Americans argued that they were not afforded the same rights. Causes of the American Revolutionary War Cause 6 The British Parliament passed the Wool Act in 1699 which prohibited the export of American made cloth from its colony of origin. In 1732 Parliament passed the Hat Act preventing the trade of American-made hats. Causes of the American Revolutionary War Cause 8 In 1732 Parliament also passed the Debt Recovery Act that decreed that land and slaves were the equivalent of property and should be sold to satisfy debts owed by colonists to British merchants. 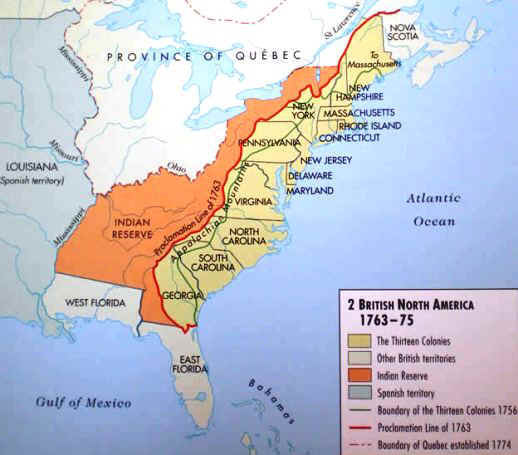 Causes of the American Revolutionary War Cause 11 The French Indian War in North America ended February 10, 1763 leaving the British with a massive war debt. The British looked to raise revenue by imposing new taxes in the colonies and reversing its policy of Salutary Neglect. Causes of the American Revolutionary War Cause 18 The Sons of Liberty a secret, underground organization was founded in Boston by Samuel Adams and John Hancock in July 1765 in opposition to the Stamp Act. Causes of the American Revolutionary War Cause 19 In May 1765 Patrick Henry was elected as a member of the Virginia House of Burgesses. He led the protests against the hated British laws and taxes in the House of Burgesses. Causes of the American Revolutionary War Cause 26 In 1769, George Washington, set on protesting the British policy of "taxation without representation," brought a package of Nonimportation resolutions before the Virginia House of Burgesses. Causes of the American Revolutionary War Cause 32 The British pass a series of laws, that became known as the Intolerable Acts, that were a reprisal to the Boston Tea party rebellion. The five laws aimed at punishing Massachusetts for the action taken in Boston and to restore British authority in the American colonies. Causes of the American Revolutionary War Cause 34 Between September 5 - October 26 1774 the First Continental Congress met in which elected representatives of colonists assembled in revolt against British rule. Causes of the American Revolutionary War Cause 35 The Continental Association was created by the Continental Congress in 1774 in response to the 'Intolerable Acts' and to impose economic sanctions against Great Britain. The Articles of Association were were adopted on October 20, 1774. Causes of the American Revolutionary War Cause 36 On March 23, 1775 Patrick Henry delivered his famous "Give me liberty or give me death!" speech referring to the "warlike preparations" of the British and making an urgent call to arms saying "The war is inevitable - and let it come!" Causes of the American Revolutionary War Cause 37 On Wednesday, April 19, 1775 the Battle of Lexington and the Battle of Concord started the American Revolution and the "shot heard round the world." Causes of the American Revolutionary War Cause 38 On July 6 1775 the Declaration on the Causes and Necessity of Taking Up Arms was issued by Congress stating that Americans are "resolved to die free men rather than live as slaves." We hope that you have found our comprehensive article on the Causes of the American Revolutionary War helpful. The following articles provide facts and information about the war.